It's time to change your maintenance schedule once you hit this milestone. 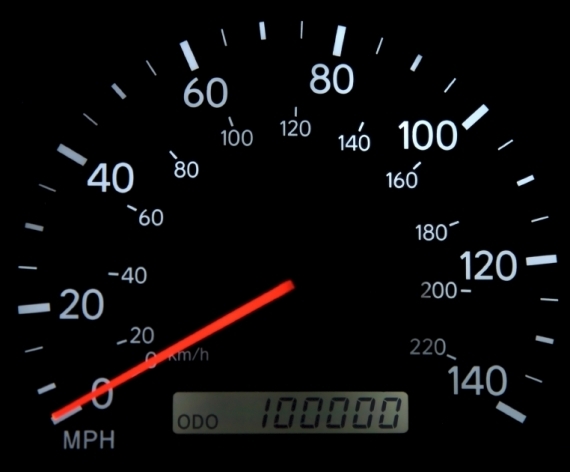 Watching a vehicle odometer roll over to the 100,000-mile mark used to be a really big deal. It was a short-lived celebration, however; with a few exceptions, many older cars and trucks just didn’t last much beyond their 100,000-mile birthday. Fast forward to today’s vehicles and it’s a vastly different landscape. At the end of 2013, the average age of a vehicle on the road was 11.4 years – an all-time high. Multiply that by the fact that Americans drive, on average, between 10,000 and 12,000 miles annually and the equation yields millions of cars and trucks on the road today displaying more than 100,000 miles on their odometer. If you’re behind the wheel of one of these 100,000-plus milers, take pride in the fact that your driving skills and commitment to regular maintenance play an important role in arriving at this destination. The key to actually getting to use those miles now that the vehicle has reached this milestone, however, is a route similar to the one that brought you here in the first place – maintenance. Think about your aging vehicle as though it were a person who’s reached mid-life. Some of the things that person did when younger, including poor diet and foregoing regular medical exams, didn’t seem to have much of a detrimental effect. But when middle age rolls around, those years of use gradually yield a diminished performance and body parts increasingly prone to aches, pains, breaks, and sometimes failure. To keep going, we have to slow down and take better care of our bodies. The same can be said for a high-mileage vehicle. If you’ve been a little lax in performing regular maintenance and sometimes drove it a little faster and further than you should have, that’s probably ok. Engineering and newer parts helped make up for past indiscretions. Now that the 100,000-mile mark has been breached, however, you have to get serious about taking care of your vehicle if you want it to last to 150,000 or even 200,000 and beyond. 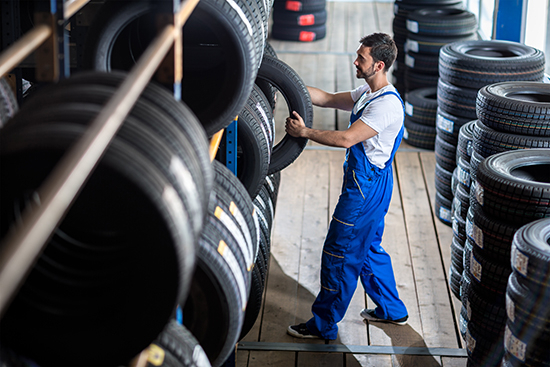 Start by reviewing your maintenance records and the services recommended by your vehicle owner’s manual, and then review the below items to determine whether it’s time to schedule a service appointment. What happens: This innocuous-sounding part plays a critically important role in the engine’s performance. Not to get too complicated, but the timing belt plays an integral role in controlling when the camshaft and crankshaft rotate and cylinder valves open and close. It’s a maintenance item that has to be replaced at a mileage interval recommended by the vehicle manufacturer – usually in the 60,000 to 100,000-mile range. It’s expensive to replace – frequently over $500. If it fails, it’s even more expensive to repair, if the damage is even repairable. What to do: If your vehicle is approaching 100,000 miles and still on its original timing belt, get it replaced. Quickly. What happens: As the miles rack up, oil changes at regular intervals become increasingly important in protecting the engine from wear and preventing premature failure. Regular oil changes remove any contaminants trapped in the oil and help ensure that aging parts are lubricated properly. But ever try to squeeze cold maple syrup through a bottle top? Its thickness makes it slow work and it takes some effort to get the syrup moving, as compared to free-flowing warm syrup. Conventional versus high-mileage oil conjures up a similar image. Older engine parts have a harder time moving oil until it’s warmer. What to do: Higher mileage oils are typically recommended for vehicles with 75,000 or more miles. They’re formulated partially or completely with synthetic oil that flows freer and easier at lower temperatures. But that’s not the only benefit. Higher mileage oils also are formulated with additives designed to recondition seals and stop leaks, and contain detergents that help clean sludge from older engines. Help your car out by switching to this type of oil. What happens: Piston rings, cylinders and valves age over time, and small problems can become major mechanical failures. 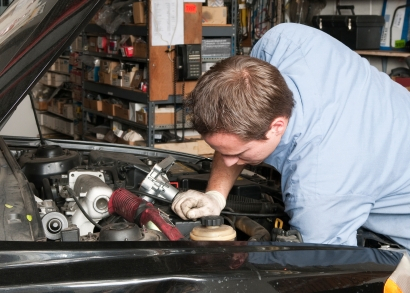 What to do: Ask your mechanic if a check of the engine’s compression is in order. This test can indicate the overall health of these parts and will let you know if anything needs to be fixed before it becomes an expensive repair job. What happens: It’s estimated that 80 percent of vehicles in salvage yards still have their original shocks and struts, and that’s not a good statistic. Shocks and struts are wear items, and at 100,000 miles, your vehicle is almost certain to have one or more leaking or damaged shocks or struts. Their performance isn’t related solely to ride comfort, however. They also play a crucial role in how a vehicle handles and its stopping distance, particularly in emergency braking situations. What to do: Get them checked. You may be due for repairs or some replacement parts. What happens: A vehicle’s exhaust system can accumulate a build up over time, narrowing the exhaust passages and forcing the engine to work harder to push the exhaust gases through and lowering your fuel mileage. Oxygen sensors, which are part of the vehicle’s emissions system, help the engine operate at peak efficiency and also regulate vehicle emissions while the catalytic converter helps trap and convert harmful pollutants. What to do: Consider having your exhaust system cleaned, and definitely replace your catalytic converter and oxygen sensors if replacement is indicated either by the vehicle owner’s manual or through error codes revealed by a “check engineâ€ light. Your vehicle’s performance will thank you, and so will the environment. What happens: Your vehicle has a lot of fluids. Some, like oil, need to be replaced on a regular basis, while others don’t need to be changed until nearing the 100,000-mile-plus mark. Coolant, brake fluid, transmission fluid, engine oil, and power steering fluid all deteriorate and can collect moisture over time, and need to be replaced at regular, manufacturer-recommended intervals. What to do: Change them if need be. 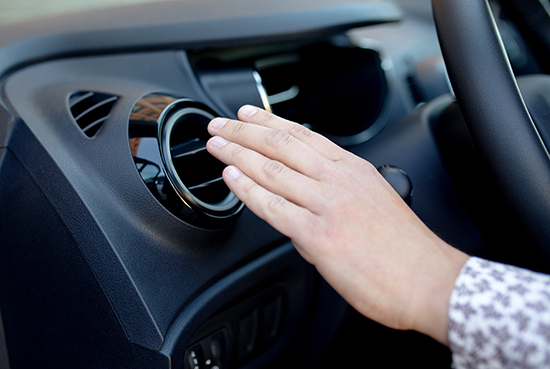 And while you’re having the fluids changed, don’t forget to also change, or clean as the case may be, the corresponding filters that help clean the fluids and air. What happens: They’re made of rubber, they don’t last forever, and heat and time are rubber’s natural enemies. In a 100,000-mile vehicle, they’ve been exposed to plenty of both. What to do: Have them checked for wear and replaced, particularly if they’re still the original belts and hoses that were on the vehicle when it came off the assembly line. Above all else, this is the most important consideration for a high-mileage vehicle. You simply don’t want to roll the dice when it comes to an older vehicle and regular maintenance. Follow the vehicle manufacturer’s recommended maintenance schedule, and with any luck, you just might one day watch the odometer turn over to the 200,000-mile mark, or more. Now that’s a really big deal.